Spectrum Metro is a project which is planned by the most reputed and widely spread group Spectrum. Spectrum Group has numerous commercial and residential projects in Delhi NCR and has a number of projects which are already been delivered to customers and are being still appreciated for all those constructions and developments. The developer has been famous for decades and that is because of their construction quality, unique features, wonderful and attractive designs and modern amenities. 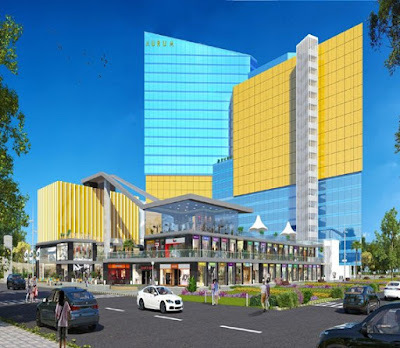 Spectrum@Metro http://goo.gl/hXtn6D is connected to the Noida, Ghaziabad, Greater Noida, Delhi, Faridabad and Gurgaon through well developed road and metro railway network. Spectrum Metro mall is a new commercial development being raised by Blue Square on a 4 sided open plot in a prime location of sector 75 Noida. The project has excellent connectivity with all adjoining urban cities of Noida, Delhi, Ghaziabad, Greater Noida, Faridabad and Gurgaon through highways and also through upcoming metro in close vicinity of mall. It has 1KM long commercial frontage which make it unique and exclusive property to invest available at this unmatched location with incomparable reasonable prices. This commercial project is being developed with a concept of retail shops, spaces for ATMs on lower ground level, ground level, 1st, 2nd and 3rdlevels, and higher-level will have food courts playing and entertaining zone and multiplex with 12 screens by INOX. Spectrum Metro is a world class commercial project and first of its kind. This project launched by Blue Square Infrastructure LLP. The commercial project located at prime location of Noida, sector 75. With over 40 lakh sq ft area, and more than 1 km long frontage with double heighted street shops, it would be one of the largest and the best mall of India.